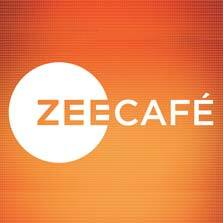 For the first time on Indian broadcast television, Zee Café, one of the leading general English entertainment channels in India, presents the animated half-hour parody series 'Our Cartoon President'. The series follows the tru-ish misadventures of the 45th President of the United States, Donald J. Trump, and his merry band of advisors and family members. Created and Executive Produced by multiple Emmy winner Stephen Colbert, 'Our Cartoon President' premieres on 4th July, weeknights at 8.30 only on Zee Cafe. The new 10-episode parody Our Cartoon President examines the quintessentially Trumpian details of the presidency and his most important relationships, and no one is safe – from his close family and confidants to key political figures from both parties and members of the media. In this parallel cartoon universe, the Commander-in-Chief opens the White House doors for an “all access” look at a typical day in the life of the President of the United States. Our Cartoon President is produced by CBS Television Studios and executive produced by Colbert, Licht and showrunner R.J. Fried. Tim Luecke serves as lead animator and co-executive producer. Matt Lappin serves as consulting producer. Don't forget to watch the premiere of 'Our Cartoon President' 4th July, weeknights at 8:30, only on Zee Café.